Get from Krabi Airport to Koh Lanta fast by Express Transfer, combining a minivan transfer from Krabi Airport to a private pier, a speedboat ride to Koh Lanta island, and then transport to your Koh Lanta hotel. It’s the quickest way to Koh Lanta. A 45 to 60 minute air conditioned minivan journey from Krabi Airport to the speedboat pier. You then go on board the speedboat which then takes you on a stunning boat ride across the water along the coastline of Koh Lanta. You arrive in Saladan on Koh Lanta, where you are then transferred to your hotel by car. Koh Lanta is a big island and depending on where your hotel’s location your journey from speedboat to hotel can range from a 10 minute drive to a 1 hour drive. 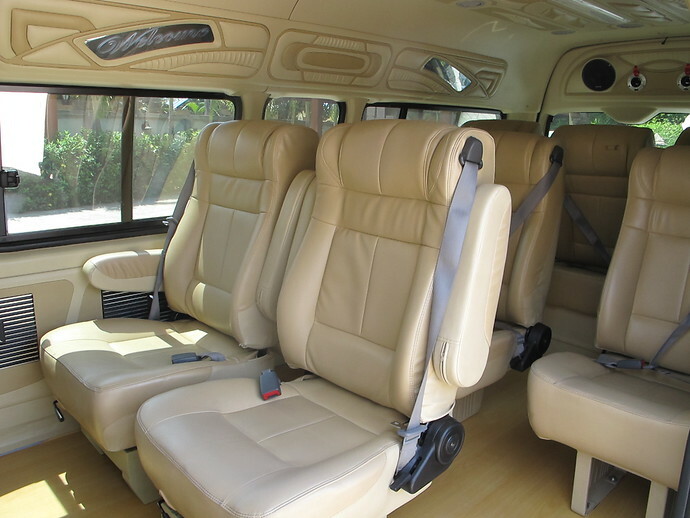 Need a Koh Lanta to Krabi Airport transfer instead? See our Koh Lanta to Krabi Airport page. Please state your Airline, Flight Number, Port of Origin and Time Of Arrival at Krabi Airport e.g. "Thai Airways TG 241 from Bangkok - arrive Krabi 08:00"
Your flight needs to arrive at Krabi Airport by 16:30 to catch the last Express Transfer of the day at 17:00. The speedboat only operates in daylight hours. If your flight arrives after 16:30, please book a Private Minivan Transfer which operates until 20:15. Please state your Airline, Flight Number, Port of Arrival and Time Of Departure from Krabi Airport e.g. "Thai Airways TG 241 to Bangkok - depart Krabi 10:00"
Please make sure you have selected your Koh Lanta hotel. Please make sure you have selected your flight to Krabi Airport. 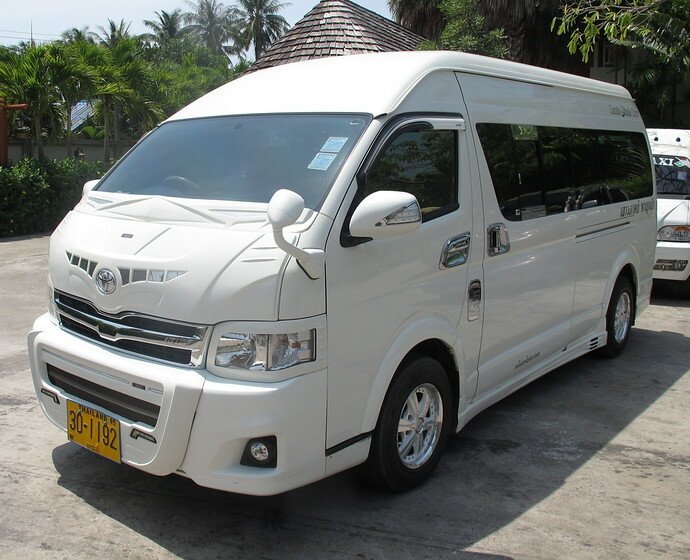 Need a Koh Lanta to Krabi Airport transfer instead? See our Koh Lanta to Krabi Airport page. The full price is payable in advance. You can pay using any major credit card by filling in your details and clicking the Pay Now button above via PayPal. You do NOT need to be a member of PayPal to make the booking. You will then receive an automatic Booking Confirmation by email. Please print this out and bring it with you. PayPal will also send you a receipt for your payment. What Name Appears On My Credit Card Bill? If you cancel your Krabi Airport to Koh Lanta transfer at least 24 hours before the departure time, a refund will be given after a 500 Baht processing fee has been deducted. If you cancel your transfer less than 24 hours before the departure date, no refund will be given. If you need to change your transfer in any way, this will be done free of charge 24 hours before the trip by email or calling ahead on the emergency contact number provided. 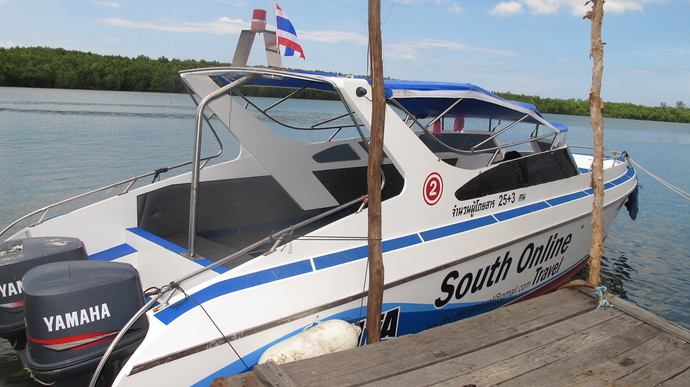 See how the journey progresses from Krabi Airport to the speedboat to your Koh Lanta hotel. See the exact route of how to travel from Krabi Airport to Koh Lanta either by Express Transfer (minivan and speedboat) or Minivan Transfer (minivan and car ferries). When Is The Latest I Can Arrive At Krabi Airport? Your flight must arrive at Krabi Airport by 16:30 to use the Krabi Airport to Koh Lanta Express Transfer. If your flight arrives after 16:30, you can still transfer from Krabi Airport to Koh Lanta with the Private Minivan Transfer. The last departure time is for flights arriving at 20:15 at Krabi Airport. What’s The Earliest I Can Leave From Koh Lanta To Return To Krabi Airport? The Express Transfer will depart Koh Lanta at 0630, arriving at Krabi Airport at 0800. The booking form above automatically calculates what time you need to be picked up from your hotel for your return journey – please select your flight time and then your hotel and you will see your pickup time next to the hotel name. If you just need a one way Koh Lanta to Krabi Airport Express Transfer, please visit our Koh Lanta to Krabi Airport page. Koh Lanta enjoys a wide variety of accommodation – we have recommendations for the best Koh Lanta family hotels, best Koh Lanta luxury hotels, Koh Lanta beach bungalows and also a comprehensive range of Koh Lanta Villas to rent. Booking.com also has a wide selection of Koh Lanta Hotels to easily book online. 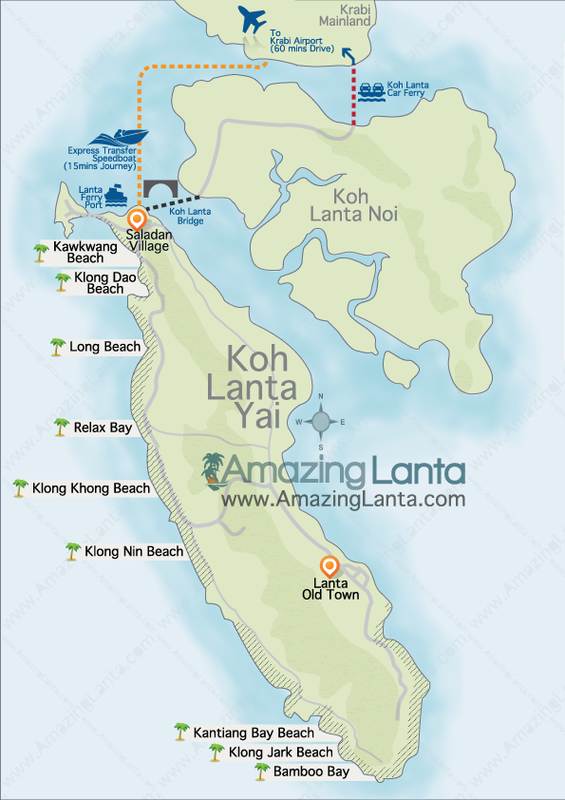 Can I Get A Speedboat to Koh Lanta from other places besides Krabi Airport? We also offer speedboat transfers from Krabi Town to Koh Lanta, Ao Nang to Koh Lanta and Phuket Town and Beaches to Koh Lanta or Phuket Airport to Koh Lanta. Please follow the links for more info. Do I Need Travel Insurance For Koh Lanta? Please note AmazingLanta.com acts as a booking agent for South Online Travel who operate the Express Transfer service. AmazingLanta.com is not responsible and accepts no liability for delayed transfers, lost luggage, accidents, personal injury or any of South Online Travel’s operations. These photos show the type of vehicles used during the Express Transfer.